Confessions of a Biographer captures the secrets of four authors who have focused on writing biographies on women. 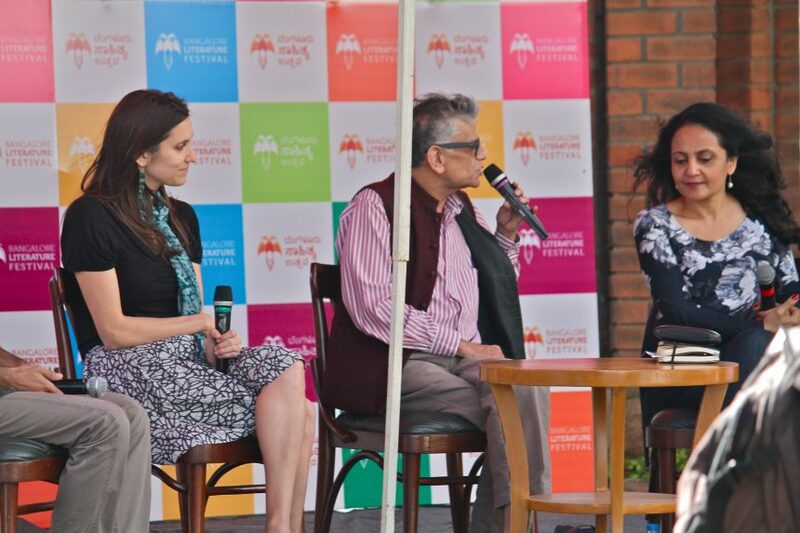 The authors were engaged in a panel discussion by Mr Sunil Sethi. The panel discussion included the following: Emily Holleman who is a Brooklyn-based writer currently working on a set of historical novels that reimagines the saga of Cleopatra from the perspective of her younger sister, Jaishree Misra who has written a biography on Rani Laxmibai of Jhansi, Manu Pillai wrote a biography about the last Maharaja of Kerala (The Ivory Throne : Chronicles of the House of Travancore), and Yatindra Mishra is currently writing a biography on Lata Mangeshwar. What’s similar between all four of these authors is that they have or are writing biographies about women in a male dominated society. Yatindra Mishra has always written musical biographies and was discussing that his next biography would capture Lata Mangeshkar’s musical journey and not just her life story. Jaishree Misra said that what inspired her to write about Rani Laxmibai is her urge to keep Rani Laxmibai alive, as she passed away at the young age of 29. She also said that biography is not all facts but is complemented with her imagination and fiction. Emily Holleman talks about also being a younger sister and always wanting to portray the story of Cleopatra from the point of view of her loved ones. Cleopatra was always portrayed as a negative character and from the point of view of the Romans. Manu Pillai spoke about the struggles faced by the last lady rulers of Kerala and the downhill that they faced. The panel discussion ended with the moderator accepting questions from the audience, who spoke about male authors writing about females and also about a feminist society.